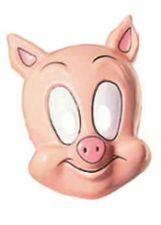 Available Sizes/Colors: Size "Small 4-6 years" "Large 7-9 years"
Dress up like Wilbur, the Three Little Pigs, or swine flu in this child/toddler size pig costume! 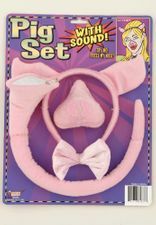 Includes a pink and white plush jumpsuit with zip front and hood with pig face. 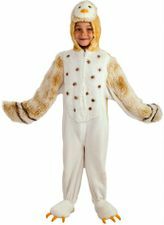 Sizing Information: The Small 4-6 measures 41 inches shoulder to ankle, 21 inches shoulder to crotch, and 37 inches in the chest. The 7-9 measures 47 inches shoulder to ankle, 24 inches shoulder to crotch and 39 inches in the chest.